If you're hoping to see the latest John Malkovich film, you'd better plan on being around well into the next millennium; it won't be released until then. I only hope Mr. Malkovich got paid in advance and isn't counting on income from the film's "points." I've been exposed to innovative cinematic projects before. For example, I loved seeing Abel Gance's 1927 Napoleon triptych, accompanied by a live symphony at Radio City Music Hall under the direction of Anton Coppola, years ago. But this one really takes the cake. The movie, titled 100 Years—The Movie You Will Never See, is slated to premiere on Nov. 18, 2115. Until then, no one—not even the cast and crew—will ever see the final cut. I assume that the director of 100 Years, Robert Rodriguez, has seen the final cut, making him, literally, one in about 7.5 billion. The film will appear at the 2016 Festival de Cannes in France. It just won't be seen. You see, the film will be locked in a safe during Cannes—which can be viewed by invitation only (the safe, that is, not the film) at the Louis XIII Suite in the Hôtel Le Majestic Barrière Cannes. After Cannes, 100 Years will make a well-guarded trek from Los Angeles to Tokyo, London and New York City, before finally arriving at its century-long resting place: in the Louis XIII cellars in Cognac, France. There, the film will hibernate until 2115 in a Fichet-Bauche safe. As stated in a press release about 100 Years, "We wanted a safe box that can be opened like never before: with nothing else but time. Once the door is shut, the countdown begins and there is no way of opening it until the 100-year countdown is complete on Nov. 18, 2115. Since the system that could guarantee we hold our promise didn't exist, we invented it," said Ludovic du Plessis, Louis XIII global executive director. This may not just be one of the most innovative cinematic projects in film history, but also one of the most creative marketing schemes, thanks to the movie's tie-in with Louis XIII cognac. Now, I've never tasted it, and I doubt you have, either. Simply put, this is the world's most sought-after and most expensive eau de vie—a cognac that is 100 years old upon release. That means that the craftsmen who make it never actually get to taste the product of their toils. Decanters of Louis XIII cognac, which are made of Baccarat crystal, range in price from about $2,100 to $3,400 for a 700-milliliter bottle. Here in Utah, it's $3,264. 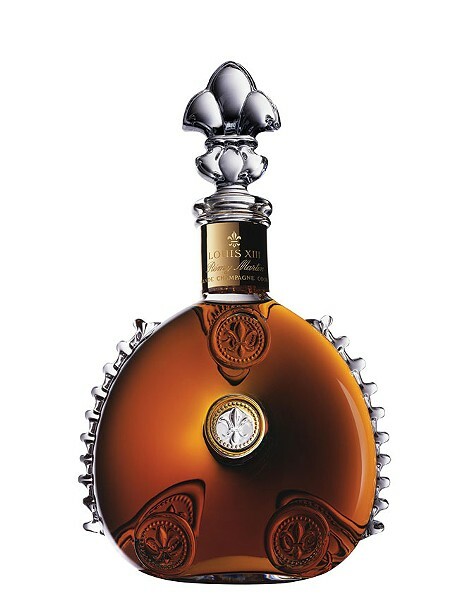 However, certain limited edition bottles, such as Louis XIII Rare Cask 42.6 (referring to its 42.6 percent alcohol level), retail for around $22,000 apiece, and a half-ounce pour at the Four Seasons Hotel in Beverly Hills goes for $1,000. Louis XIII cognac was on the wine list at Le Meurice Hotel in Paris, where I recently dined at the Alain Ducasse restaurant. Needless to say, I didn't order it. And so, just like the cognac that must mature for a century before being enjoyed, such is the case with Rodriguez' and Malkovich's 100 Years, which was inspired by the time, patience and craftsmanship required to create each decanter of Louis XIII. Call me crazy, but I'm going to take a wild guess here that the brand financed the film project. According to the Louis XIII folks, their cognac, which dates back to 1874, "evokes tasting notes and scents of myrrh, honey, immortelle, plum honeysuckle, wood bark, leather and passion fruits." That's quite a mouthful. Lemme know if you happen to have any you'd care to share.